VPNConnected offers its privacy service for $7.99 a month. While the price is at par with most premium VPN solutions, they have partnered with VPNCoupons to offer our readers a 25% Discount when using the Promo Code: 25VPNCPNS. As the experienced VPN users would be quick to tell you, the best way to save money on a privacy service is to sign up for its long term plans. 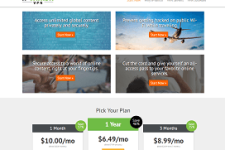 VPNConnected doesn’t disappoint in this regard and offers several money saving options to its new subscribers. While many VPN companies ask for a coupon before offering discounts, it is not the case with VPNConnected. In fact, you can save money with the above offers without having to enter a coupon at all. Just click the Redeem button or a link to VPNConnected’s website on this page and you will see the reduced prices automatically. 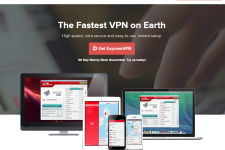 VPNConnected is a brand new VPN service that made its debut in 2014. The service was brought into the market by NIO Network Management Ltd which is a service provider from Bulgaria. VPNConnected provides up to 256 bit (military grade) encryption through its service which would help you to protect your personal data and financial transactions at public places and prevent ISPs from logging and blocking your online activities. Although VPNConnected came into the market fairly recently, it has quickly expanded its footprint across the world. The company now has 130+ servers in 32 countries allowing globe-trotting business travelers and expats to unlock IP-restricted content from virtually any location in the world. The presence of servers in dozens of countries also serves another benefit; it allows VPNConnected customers to engage in their favorite online activities without experiencing any noticeable drop in internet speed. For more information, please check out our VPNConnected Review. You can also visit the official site of VPNConnected at: www.vpnconnected.com. IronSocket Black Friday / Cyber Monday Sale and Giveaway!